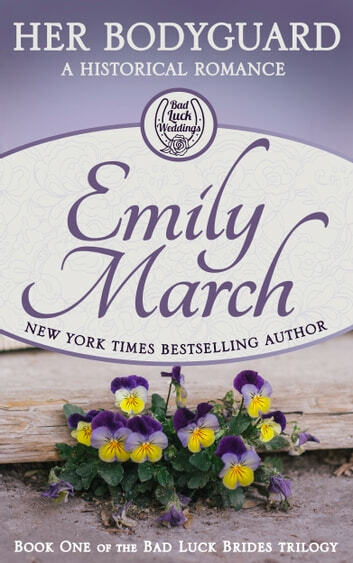 The McBride Menaces are all grown up in this first book of the Bad Luck Brides trilogy as Emily March's beloved Bad Luck Wedding historical romance series continues. Luke's desire to protect--and seduce--the beautiful Menace leads them both into danger. The violent collision of Luke's past and present reveal sinister secrets that push Mari further away. Is she cursed to be the next victim of McBride bad luck? Or will the true love of a wicked man be her--and her sisters'--salvation? Can't wait to read a second time! I absolutely loved this book - Mari is so strong and fun! And Luke struggles to do the right thing even though he's clearly an outlaw and ex-felon. They team up to uncover the truth about their siblings and the story just sucked me right in. Very interesting and engaging and well written, I highly recommend it! Well I read the book last night, finishing up this morning. I liked all the characters...good and bad...and Fort Worth at the turn of the century. I look forward to reading about the other sister's now. 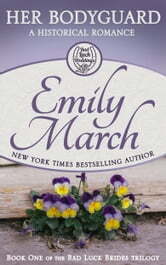 After having read Trace and Jenny’s story I happily enjoyed reading Mari’s story. I’m looking forward to reading the other stories.